Longitudinal research is an essential element in the investigation of human development over time, with considerable advantages over more widely used cross-sectional research designs. 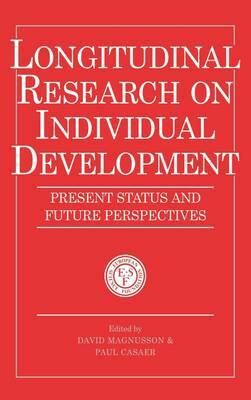 This book examines the scope for longitudinal studies in a range of developmental fields, emphasizing the advantages of this approach for the investigation of causal mechanisms and processes and the dynamics of development over the lifespan. It also discusses methodological issues and some of the practical and ethical problems that longitudinal research may present. The distinguished contributors review normal and disordered development in the emotional, cognitive and social domains, including valuable discussions of gene-environment interactions, the maturation of the human brain, and issues relating to ageing.